Manufacturer & Exporter of a wide range of products which include Media Filtration Plant such as Commercial Media Filtration Plant, Domestic Media Filtration Plant and ACF Media Filtration Plant. Counted as first among the best, we are instrumental in rendering the best quality of Commercial Media Filtration Plant. Ideal for water treatment applications, these systems are designed by using modern machinery and are known for their easy operation. 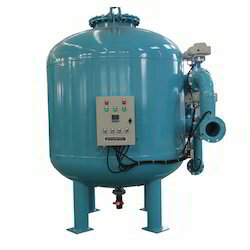 Our customers can avail these water treatment systems in various technical specifications. Years of understanding and experience of this domain has helped us in presenting the best quality of Domestic Media Filtration Plant. 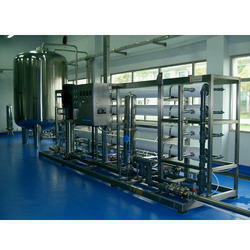 Used for bottling of packaging drinking water, these plants are easy to operate and require low maintenance. By using modern machinery, these plants are available with us in various technical specifications. Being a market leader of this domain, we provide the best quality of ACF Media Filtration Plant. Manufactured by using cutting-edge technology and modern machinery, these plants are used in packaging drinking water industry. Rendered by us in various technical specifications, these plants are known for their innovative design and superlative performance.